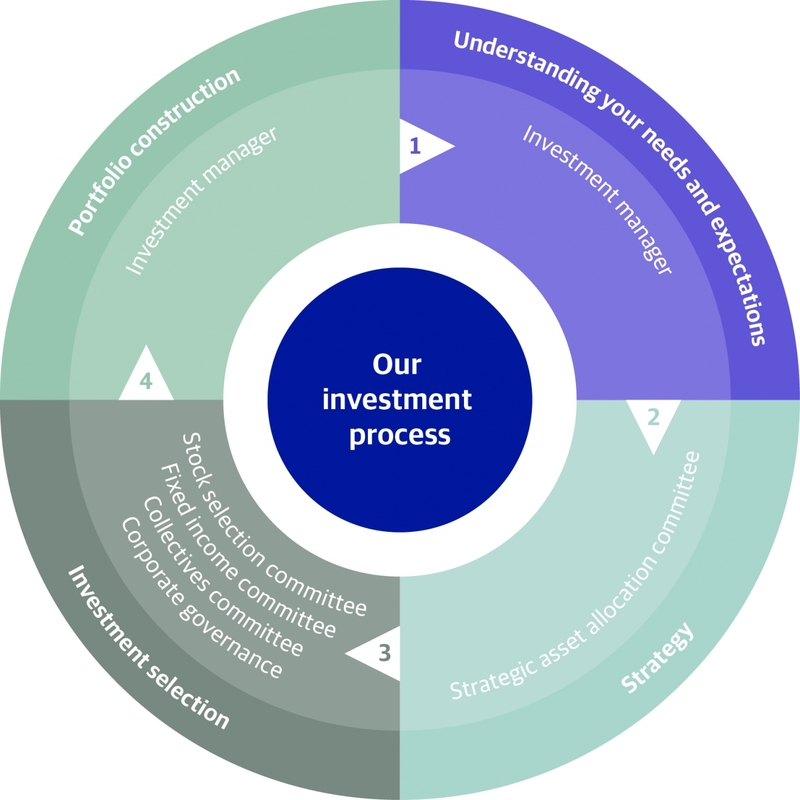 We have a well-defined investment process, which is fundamental to the service we provide. This process creates a strong yet flexible framework for our investment professionals to work together, sharing ideas and challenging each other’s views. Our team has been managing ethical and responsible investment portfolios since 1992. We have built up extensive expertise in understanding how financial and ethical issues can be integrated into the management of your portfolio to meet your overall investment objectives. The investment process is constantly evolving and we continue to invest in the resources required to ensure it remains robust. Assets that drive growth in your portfolio including equities (also called “stocks and shares”) and other securities with a high correlation to equity markets. However, they can lose value or become illiquid during periods of market stress. As well as equities, this category includes riskier corporate bonds and private equity funds. Assets that have the ability to reduce or offset equity risk during periods of market stress. Potential investments must pass a range of tests before we can claim to feel confident in their diversifying characteristics across a range of market environments. This includes unleveraged commercial property funds. Rathbone Unit Trust Management award-winning investment team, as well as a wide range of external brokers, analysts and fund managers. As a result we constantly monitor market developments and identify attractive investment ideas and opportunities. We have the particular expertise required to invest directly in individual equities and bonds. This approach gives us more freedom to implement our investment ideas efficiently and cost-effectively, while retaining full control over the process. As well as conventional factors we also consider the extent to which a company understands and manages the social and environmental threats and opportunities it faces. This additional perspective enables us to identify companies which are ideally suited to meeting the challenges of the future. We prefer to invest in companies with high standards of corporate governance as they prioritise the interests of shareholders and other stakeholders rather than those of management. We monitor the actions, policies and decisions of the boards of companies we invest in and participate in voting at shareholder meetings. This helps to ensure that your interests as a shareholder are protected. Your investment portfolio is carefully constructed to match your objectives and values. With us, you can make your investments work for what you believe in. Our research allows us to identify companies that seek to address the challenges presented by issues such as human rights, climate change and population growth. Our investment managers are supported by a central investment process that provides expert guidance on asset allocation, investment selection and risk monitoring. They have access to the insights and resources of our research team and are assisted by proprietary systems that use the latest technology. Rathbones is independent, so we can look across the whole of the market to find investments that match your interests. Not all firms give their investment managers this flexibility. It’s an important advantage because it gives us more opportunity to apply our expertise for you.